Luce Fabreguettes is Executive Vice President Missions, Operations & Purchasing. In this role she is responsible for delivering efficient Ariane 5, Soyuz and Vega launch services to Arianespace’s customers, while preparing future Ariane 6 and Vega C operations. Fabreguettes joined Arianespace in 2005 as Project Manager in the Customer Service Department, after which she took responsibility for the Vega program in 2007 to prepare for this launch vehicle becoming a part of the Arianespace launcher family. 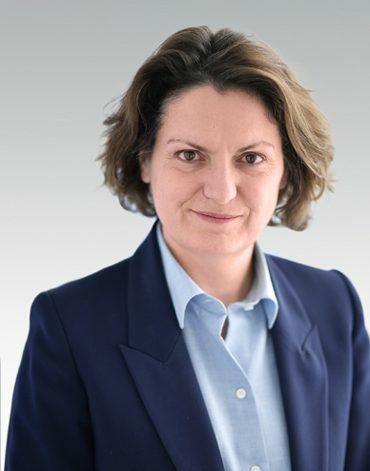 From 2009 to March 2016, she served as Arianespace’s Vice President – Business Development, in charge of customer proposals, marketing and competitive intelligence. From April 2016 to March 2017 she was Senior Vice President – Missions. She began her career with Aerospatiale in 1990, assigned to a variety of engineering, project management and team management positions – notably for the Ariane 5 launcher. Based in Rome from 1998 to 1999, Fabreguettes contributed to the creation of the Vegaspazio joint venture involving Aerospatiale and Fiat Avio, responsible for developing Vega. Returning to Paris in 2000, she worked for Starsem, the company responsible for commercializing the Soyuz launch vehicle in operations from Baikonur Cosmodrome.